Artist-activists often struggle with the task of addressing the aggressions perpetrated against groups based on race, gender, and sexuality without potentially retraumatizing survivors of identity-based violence. 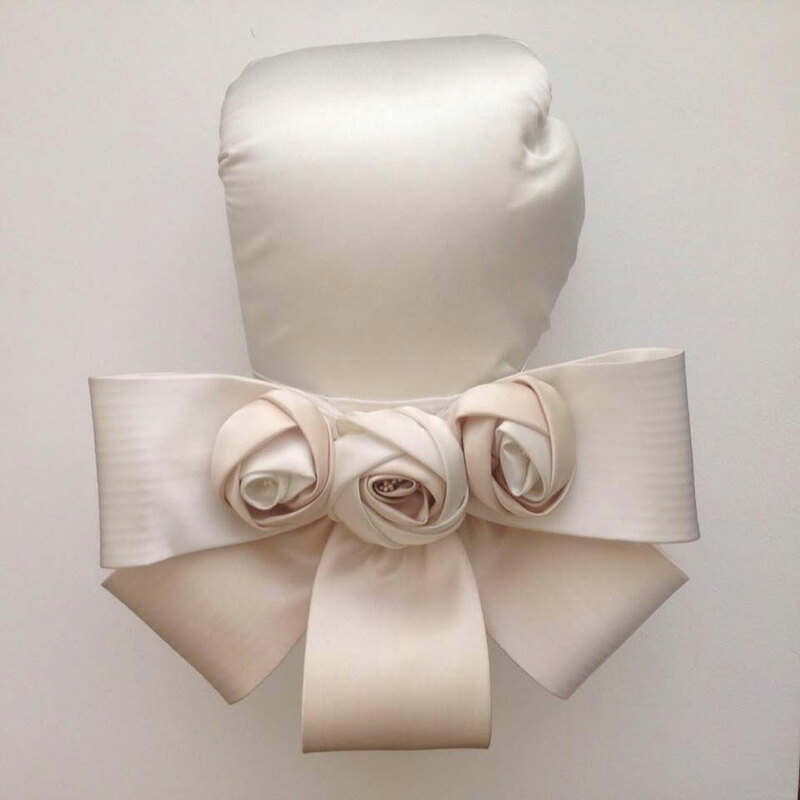 Zoe Buckman, a multidisciplinary, self-identified “feminist” artist, achieves a balance between provocative and healing, centering narratives of violence without crossing the line into graphic imagery. 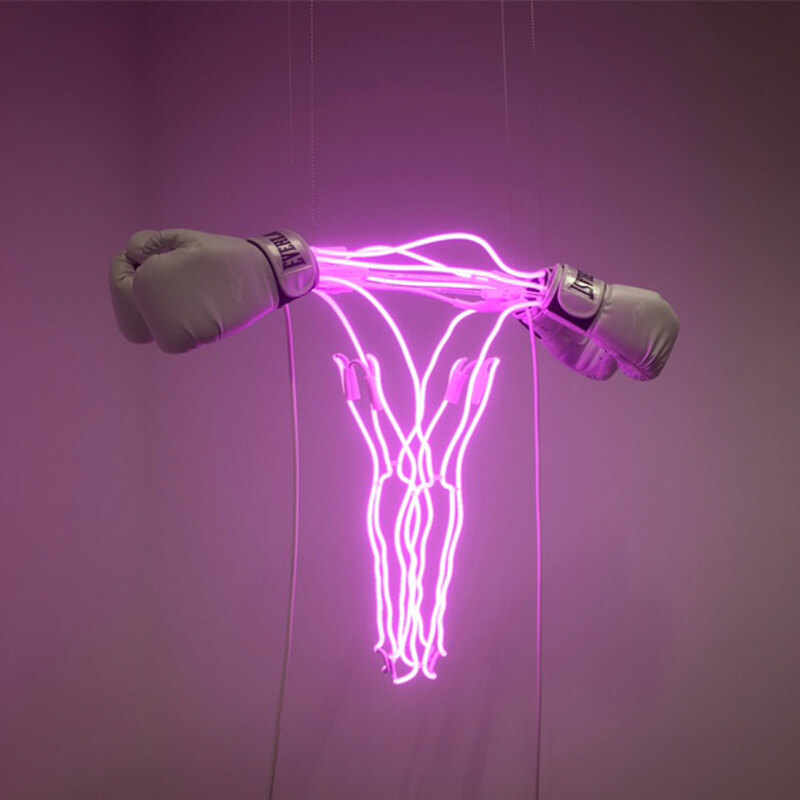 “Let Her Rave” addresses the paradoxes of “femaleness” as it is historically defined: women are expected to be maternal, but submissive; weak, yet industrious. 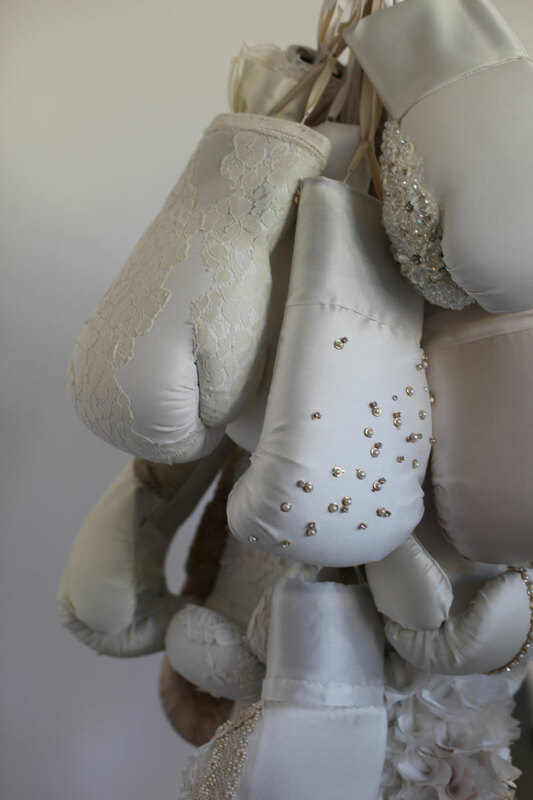 The body of work is comprised of boxing gloves encased in repurposed wedding dress fabrics and materials, emphasizing the supposed juxtaposition between femininity and strength. 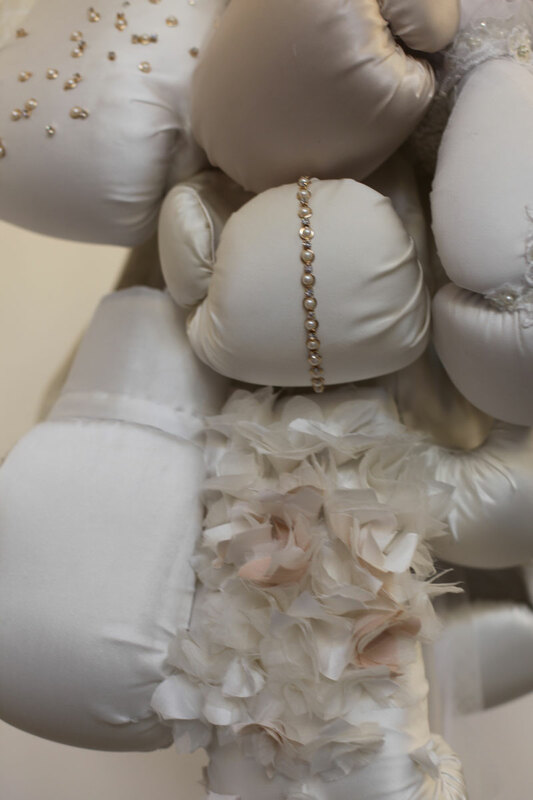 The immediate visual effect is almost shocking– soft, pastel-colored forms sprinkled with exquisite beads suspended from thick, metal chains. 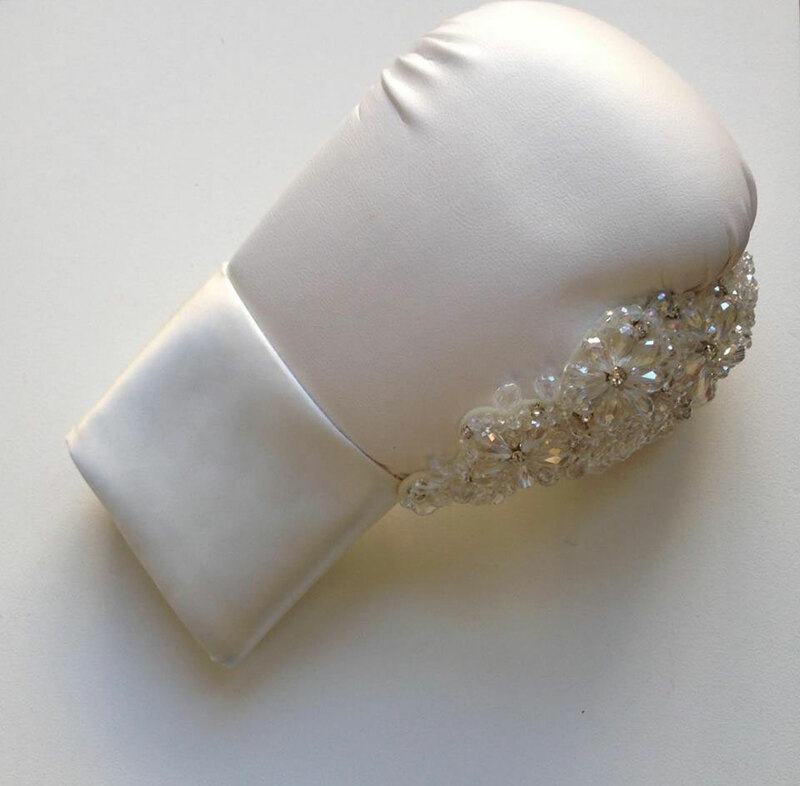 The jumble of fabric-and-bead fists is bursting with stifled anger, and yet the effect is far from violent. 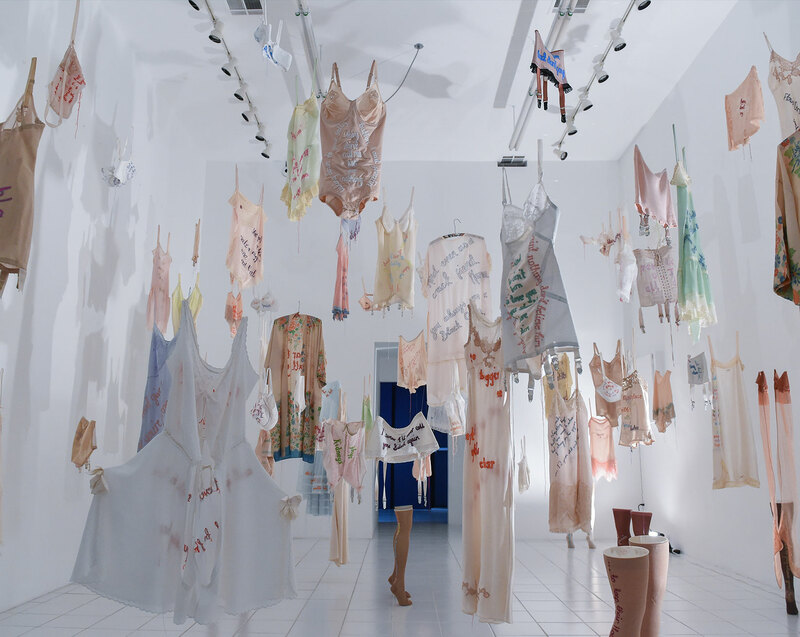 “Every Curve,” an installation of hand-embroidered vintage lingerie currently on view at Papillon Art in Los Angeles, takes a different approach to exploring the voicelessness and objectification of women and femmes. 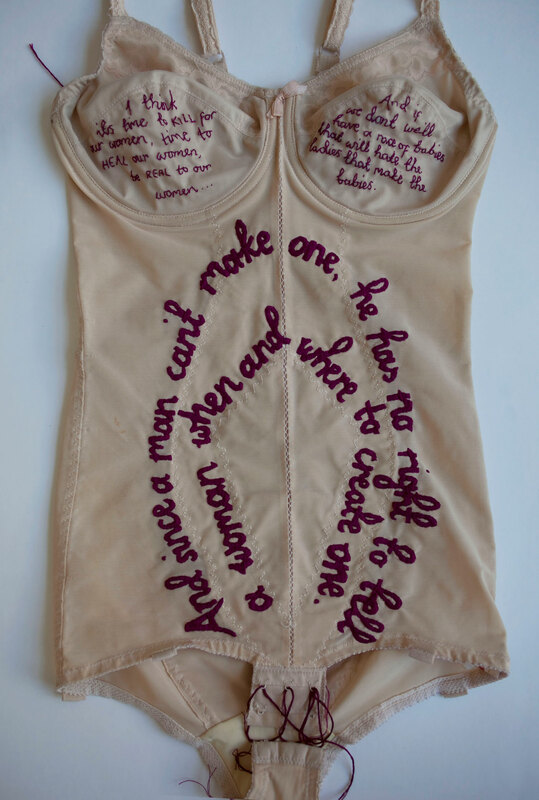 The garments are covered with lyrics from the rappers Tupac Shakur and Notorious B.I.G. 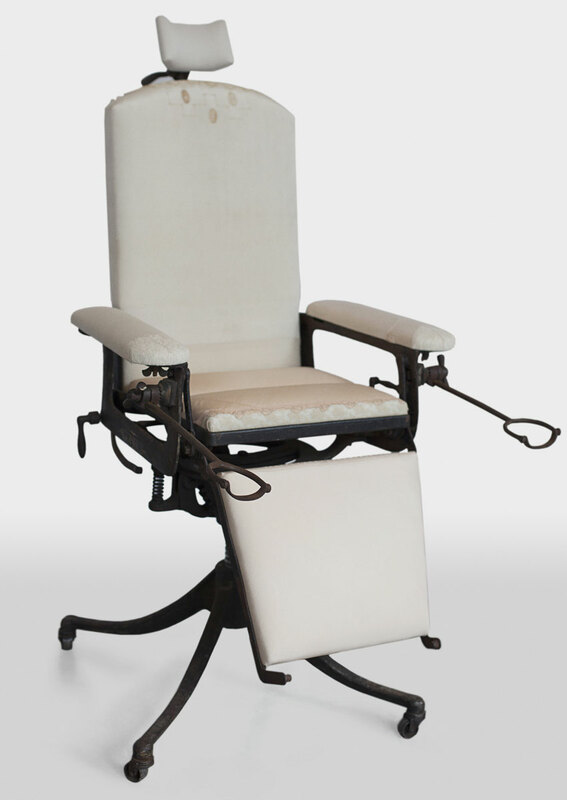 that refer to women, and yet, the originals wearers of the lingerie are rendered invisible. Although rap lyrics frequently glorify violence toward women, Buckman carefully chooses empowering lines and phrases from their music. 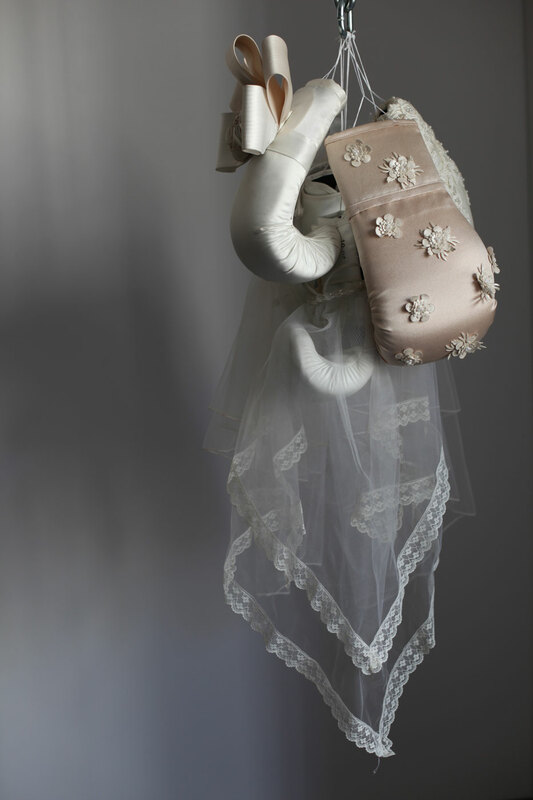 In response to recent attacks on Planned Parenthood, the artist reframes everyday experiences in women’s lives with her tongue-in-cheek exhibition, “Mostly It’s Just Uncomfortable”. 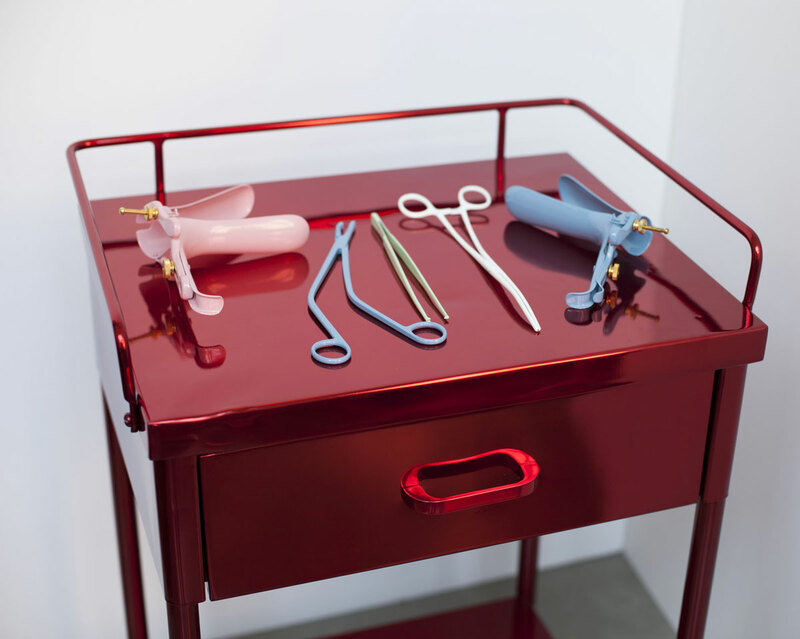 Buckman reframes gynecological instruments and other similar objects as flashy, colorful sculptures, encapsulating the items in powder coating. 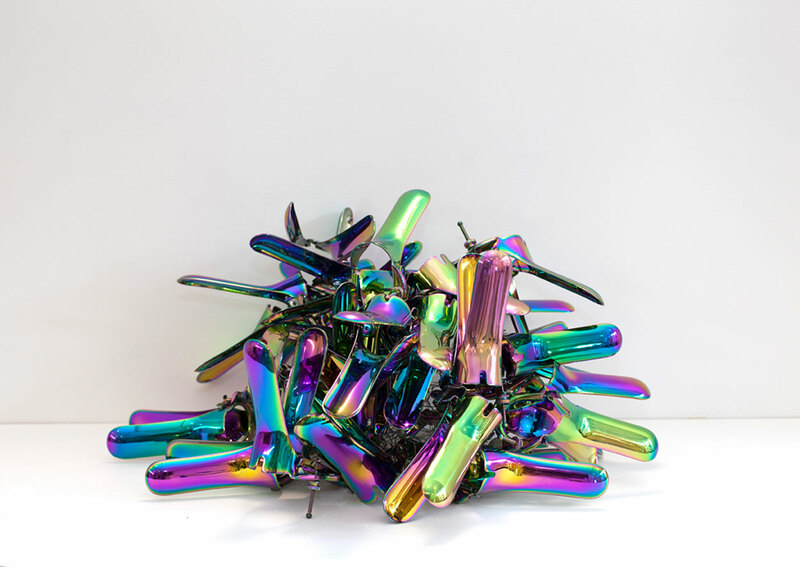 The sculptures force viewers to encounter the instruments in a different way, outside of their usual politicized context.